King of the Ammonites, who was the leading spirit in the murder of Gedaliah (Jer. xl. 14). 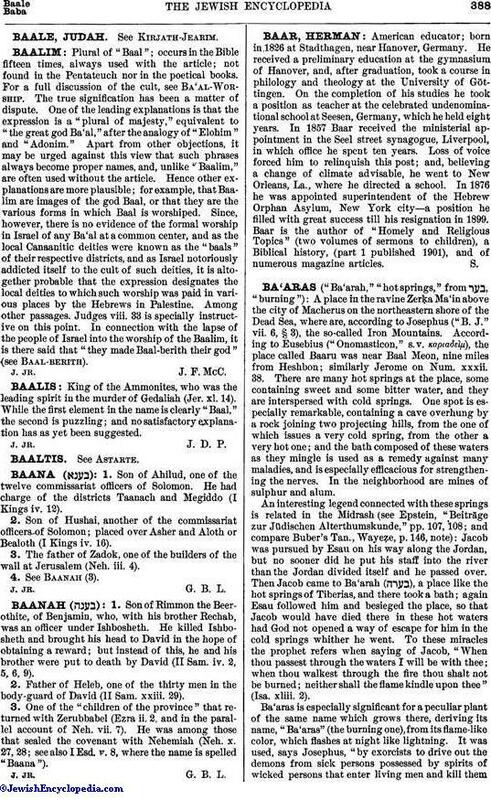 While the first element in the name is clearly "Baal," the second is puzzling; and no satisfactory explanation has as yet been suggested.